Disclosure: Some of the links below are affiliate links, meaning at no additional cost to you, I will earn a commission if you click through and make a purchase. But don’t worry, I never recommend products I don’t believe in! 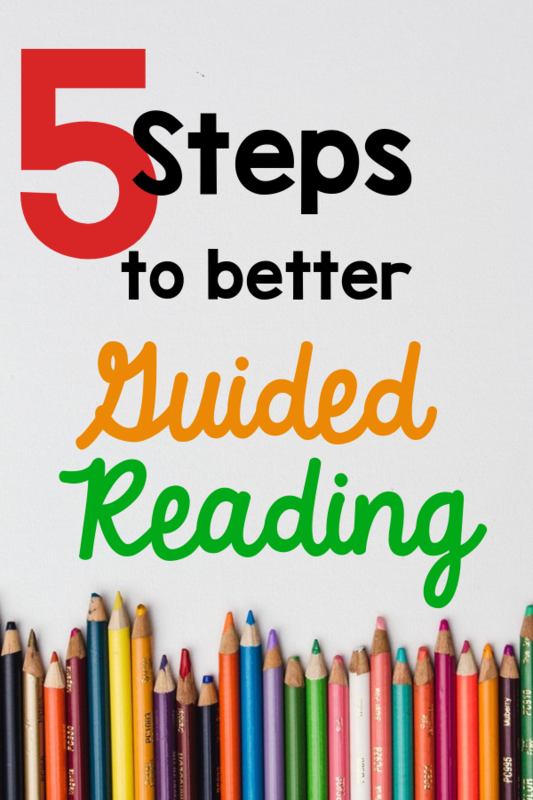 During my first couple years of teaching, I struggled with guided reading groups and couldn’t quite get it down. Eventually, after much trial and error, I developed a system that streamlined my guided reading instruction. I’d like to share with you the steps that I took in order to make my guided reading groups beneficial for my students and easy for me to plan. This is one of the most important steps to effective guided reading. Students should be grouped based on their instructional levels. Keep in mind that these groups will change throughout the year. Some students progress quicker than others which means your groups will be changing constantly. In order to differentiate, you’ll need to conduct a few assessments and do some student watching or observations. The assessments will depend on your grade level and the reading level of your students. For beginning readers, you might conduct assessments that include; letter/sound, sight words, running record, and sentence dictation (Teacher tells the student a sentence and they record what they hear). For transitional and fluent readers, assessments might include; reading conferences, running records, and spelling inventories like the QSI. Use a data tracking sheet like the one included in this free resource, to keep track of student assessments. This will help you stay organized and give you a clear picture of where your students’ instructional level is. Groups should be between 3 – 4 students. If you have more than four students, it may be difficult to monitor all students and give feedback on their progress. You may be wondering what your other students will be doing while you’re running a guided reading group. Guided reading should be part of a system like the Daily 5. This will include different centers that students will be doing independently while you’re running the guided reading group. In order for your students to get the most out of their guided reading time, it is essential that you ARE NOT INTERRUPTED by students doing independent work. If you have a teaching assistant or volunteer, this may be easier, but if you’re like me and you’re solo in the classroom, you’ll need to teach your students the importance of not interrupting during guided reading time. This short 15 – 25-minute chunk of time is fundamental to the reading progress of each student in your classroom. It is vital. I know how difficult this can be if you teach primary grades, but eventually, they’ll get. Teach students to rely more on their peers than on you for answers. You should spend about 3 – 4 weeks teaching the Daily 5 routines before getting started with your guided reading groups. The more time you spend teaching routines, the easier it will be for students to work independently when the time comes. If you don’t already have The Daily 5 book by Joan Moser and Gail Boushay, I highly recommend it. Daily 5 will help your students by providing a routine and help you by giving you the time you need for each of your guided reading groups. Get it on Amazon now for only $11! Differentiating can mean extra prep and planning time. Each group will have a different set of skills they are working on and you’ll need to plan carefully. This doesn’t have to mean extra work for you. Use a streamlined planning sheet like the one in this free resource, to make your planning and prep time easier. 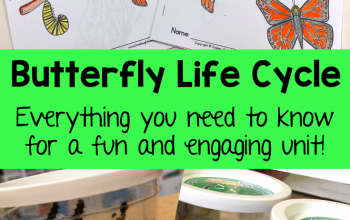 You don’t need a different lesson for each group, but you will need different leveled text. If you decide to work on “retell the story” as your comprehension strategy, all of your groups can focus on this strategy, but you’ll use a different level text for each group, depending on their reading level. When you’re planning your guided reading lessons, go through the book thoroughly to plan each teaching point. Use the guided reading cheat sheet in this free resource to help you with your guided reading planning. Each guided reading lesson should be planned over a two-day period. This is important for building fluency, confidence, and progress. See the table below for an overview of a guided reading lesson. Use a binder to organize all of your guided reading materials. Being organized will cut down on your planning time and keep you and your students focused. 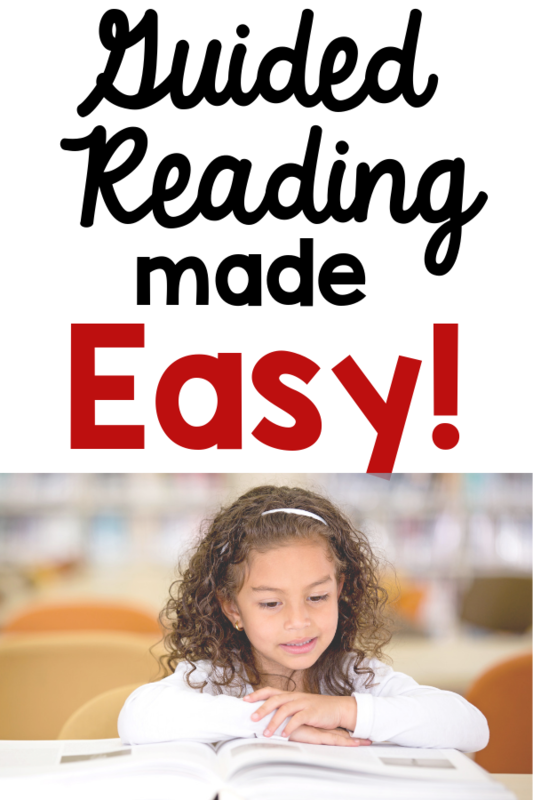 Click here for a free guided reading binder. Guided reading is a powerful tool for developing better readers, but if you only do guided reading once or twice a week, you won’t see the progress you want for your students. One of the best resources for guided reading is Jan Richardson’s The Next Step in Guided Reading. If you’re able to purchase this book, I would definitely do it. This resource has been invaluable to me in my journey to mastering guided reading. Be sure to also check out, Tips for your First Year Teaching.